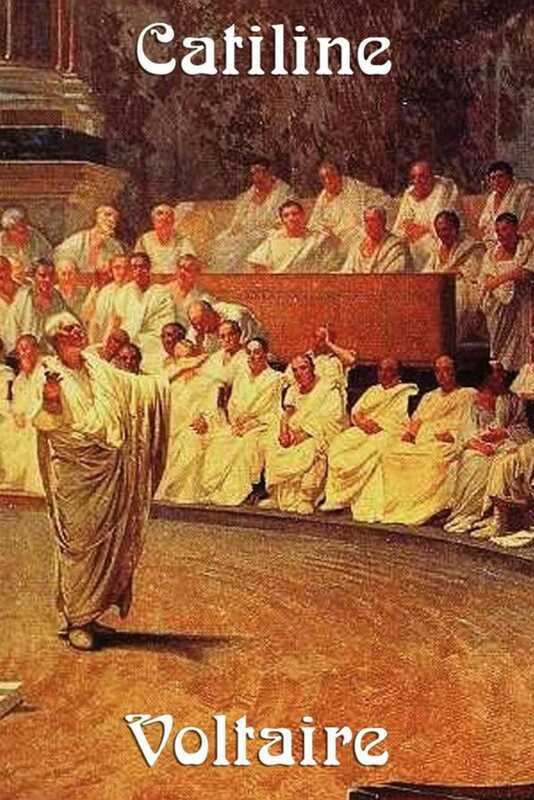 In his preface to this play Voltaire says: "The learned will not here meet with a faithful narrative of Catiline's conspiracy: a tragedy, they very well know, is not a history, but they will see a true picture of the manners of those times: all that Cicero, Catiline, Cato and Cæsar do in this piece is not true, but their genius and character are faithfully represented: if we do not there discover the eloquence of Cicero, we shall at least find displayed all that courage and virtue which he showed in the hour of danger. In Catiline is described that contrast of fierceness and dissimulation which formed his real character; Cæsar is represented as growing into power, factious, and brave; that Cæsar who was born at once to be the glory and the scourge of Rome." Wilder Publications is a green publisher. All of our books are printed to order. This reduces waste and helps us keep prices low while greatly reducing our impact on the environment.